Jake Samoyedny is The Compassionate Medium. Born a medium, Jake has trained with some of the best mediums alive today. Jake has also studied at the prestigious Arthur Findlay College for Psychical Studies in Stansted, England. He is a member of The Lily Dale Assembly and is a proud Registered Medium at Lily Dale, America’s oldest Spiritualist Community. Jake is the author of “THE COMPASSIONATE MEDIUM” published in 2014 and “A PATHWAY TO ETERNITY” published in May of 2016. Jake writes a bi-monthly column for a regional publication about Spirituality. Jake was recently recognized by The Times Square Press as the # 1 Most Recommended Medium in the USA and voted the #1 Best Medium in the United States for 2016 and 2017. Because of Jake’s unique journey to mediumship, he has become a much sought-after speaker. Jake is blessed to be on the Preferred Provider list for Helping Parents Heal, a national organization for parents who have children in Spirit. Jake lives a spiritual life and has devoted himself to serving Spirit through Evidential Mediumship, bringing comfort to those wanting to know that our lives and bonds of love are everlasting. 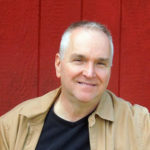 Jake resides with his two children and offers in-person and phone readings in the suburbs north of New York City and can also be found living and serving Spirit in Lily Dale, New York during the summer months. Phone and Skype readings with Jake work exactly the same for him as in-person readings. What is the Lily Dale Assembly? 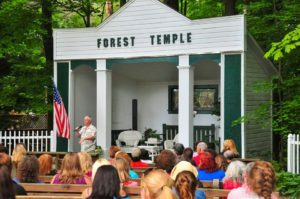 Located in historic Lily Dale, New York, The Lily Dale Assembly seeks to further the understanding of the science, philosophy, and religion of Spiritualism. by promoting activities and discussions concerning modern benevolent, charitable, literary, scientific, and civic thoughts throughout all mankind. They are dedicated to the service of God, Spirit, and Mankind. There is but One Power, God, the Good, Omnipotent. Located in Stansted Mountfitchet, Essex, England, The Arthur Findlay College is a college of Spiritualism and psychic sciences. Stansted Hall was built in 1871 as a gift to the Spiritualists’ National Union by J. Arthur Findlay, MBE, JP, a former Honorary President of the Union, and in to be used for the advancement of Psychic Science. This college offers facilities unequaled anywhere in the work as a residential center where study all forms of Spirituality.